Sorry, your browser does not support this video. 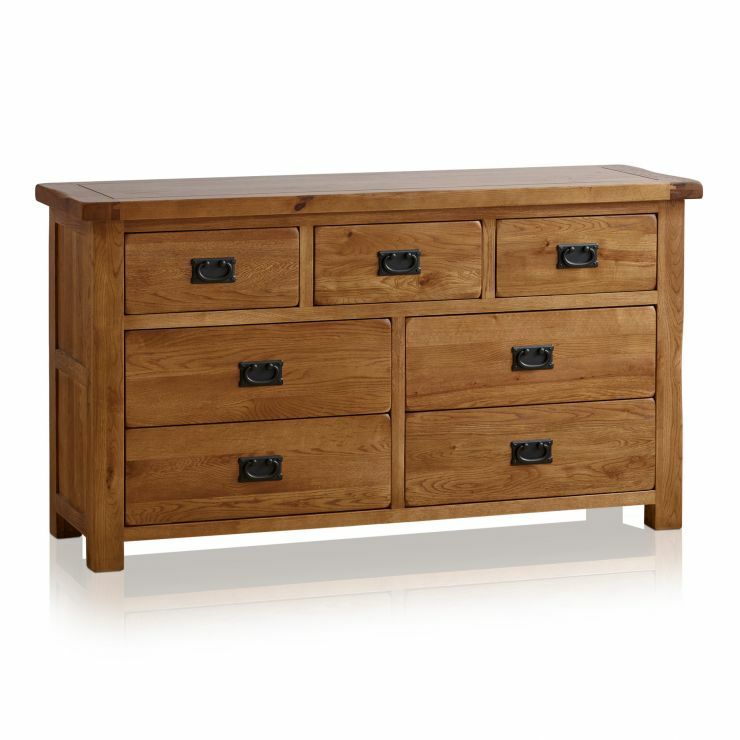 The Original Rustic Solid Oak 3+4 Chest of Drawers offers storage space galore with seven generously-sized drawers. 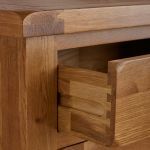 Only the finest cuts of solid oak are used in its construction and our skilled craftsman apply traditional techniques to ensure exceptional strength and durability. 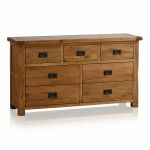 Every drawer is solidly put together using resilient dovetail joints with solid oak backs, bases and runners. 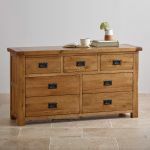 The rustic design is characterised by softly rounded corners, chamfered edges and beautiful bronze tinted drop bar handles. 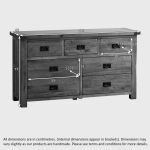 Whether used in the bedroom to store clothes and blankets or in the living room for all manner of household items, you're sure to fall in love with its classic, clean-cut lines. To finish, the timbers are treated with wax to give the appearance of a much loved antique and provide protection against daily wear and tear. We never skimp on materials and we never use chipboard, MDF or veneers in any of our products. In addition to choosing furniture within a range to match in any room, you can also match across ranges that have the same finish. 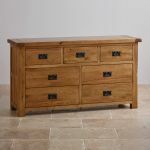 A range described as ‘Rustic Solid Oak’ has the same finish for all the following ranges: Original Rustic, French Farmhouse, Orrick and Hercules. You can choose to match any dining chair from a Rustic Oak range with any table or desk with the same finish, regardless of range name.